Teton’s nicknames include but are not limited to: T, Mr. T, Goonie, Goon, Goon Bird, Goose, Goosey, Goose Man, Puppa, Dude, and Dude-O. That’s a pretty comprehensive list in case you were wondering. 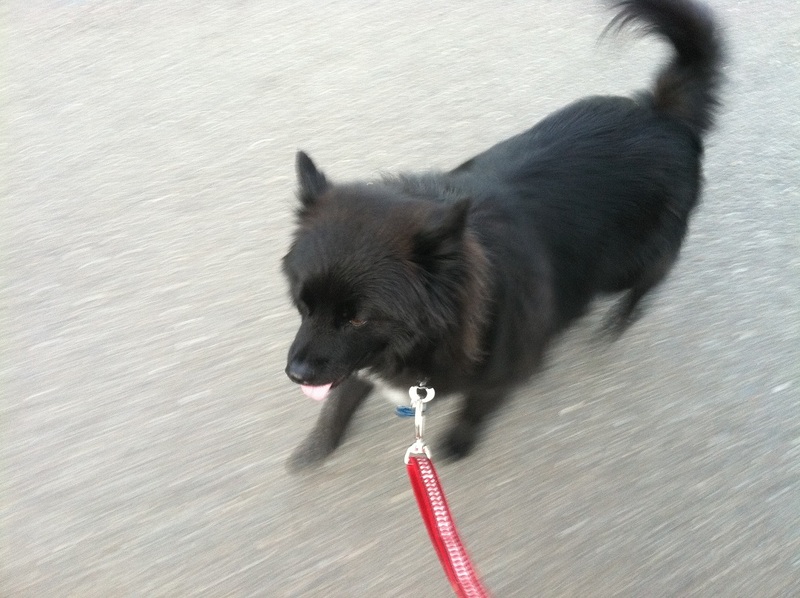 The Goose and I just got back from our nightly walk. Oh, and I say “warm” because warm in Washington means over 75 degrees. I love the heat but TLB isn’t used to it so I can’t blame him for getting hot with all that fur. I’m a little bit addicted to Etsy. Along with searching for jewelry, handmade clothing, and other rando things for my house, I always make time to check out what Etsy sellers have for pets. Did you happen to notice that little opening in the far left corner of the bag? It’s a built-in doodie bag holder! Be still my heart. If you’re reading this right now and you don’t have a dog or are a straight male, I can totally understand that you’re all WTF is this hideous thing? But take a walk with me down explanation lane. Look at all that space! Room for your cell, your portable dog bowl, a water bottle, a bag of treats…you name it! Ever been walking your dog after they’ve done a twoski and grimaced at the smell coming from the poo bag that was burning your nostril hair and making your eyes water? Why not just throw it in the lined pocket on the backside of the Dog Walking Bag until you find a trash can? Fully lined and carefully stitched this bag is fleeced to give body. Handle is adjustable with a slider to insure comfortable fit. May be worn over shoulder or cross body. 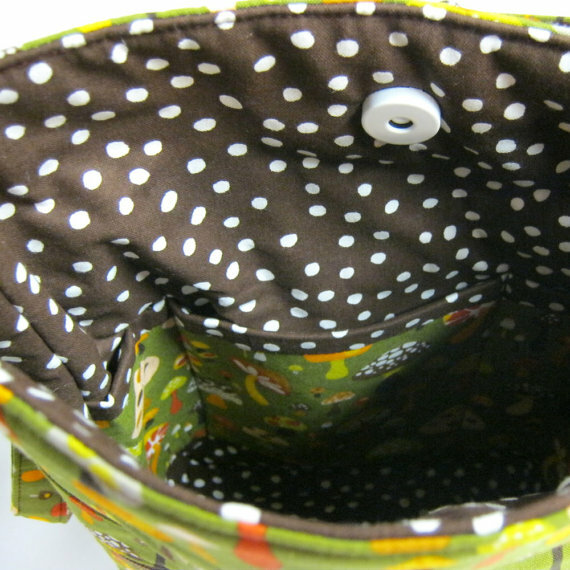 The zipper pocket is line and has a large grommet to allow rolled bags to be within easy reach as they feed through the hole. Front zipper is 7″. 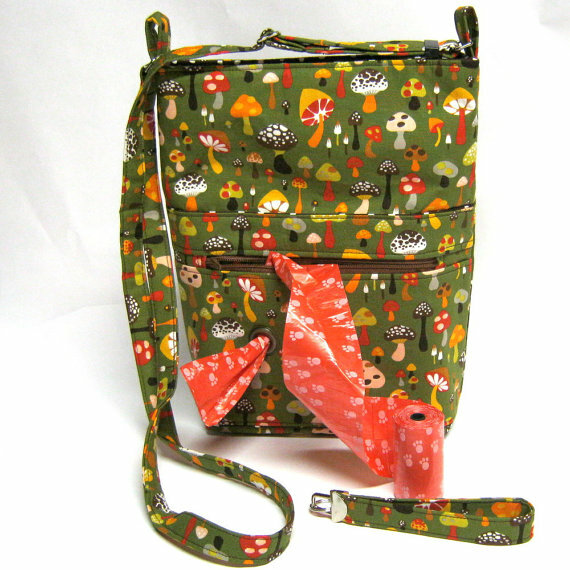 One new roll of bags included to get you started on your walk. Roll of bags laying outside of purse in photo is to show what is included. On the reverse side there is a large lined open pocket equipped with removable vinyl sleeve to carry the used bag load until proper receptacle is found. This pocket can be used for dog treats instead. The inside compartment is deep with divided lined pocket to carry phone, wallet, keys, pen and pad, bottled water or other needed items on your walk. Inside is finished off with magnetic snap to hold closed. 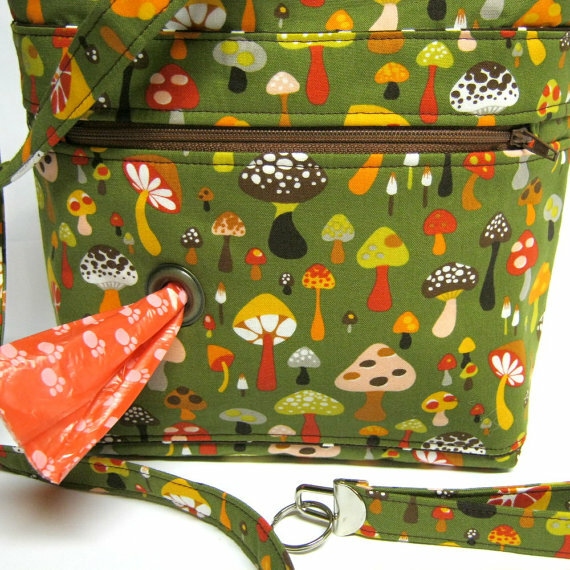 This bag approximate measures: 8″ across by 11″ tall and 3 inches deep. Did I mention PoodleLounge’s Dog Walking Bag is only $37.50?!?!?!?! My birthday is coming up. I’ll be begging asking for this. Have a great night and a wonderful weekend! See you on Tuesday for a new product review! 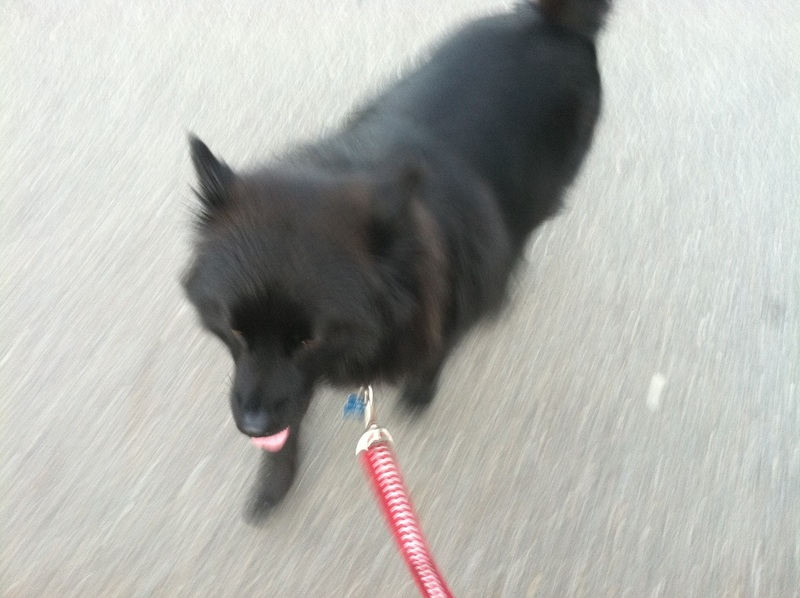 Posted on September 14, 2011 by Shannon	This entry was posted in Closet, Web, Wish List. Bookmark the permalink. LOVE LOVE LOVE the idea but the print scares me a bit!!! It is a little scary…but her other prints are corduroy and that freaks me out a little. I wonder if she’d do a custom print! I’m Mary in Maryland and own the “poodlelounge” shop. I’m very friendly and YES I am happy to do custom work. This helps me feed my dogs. 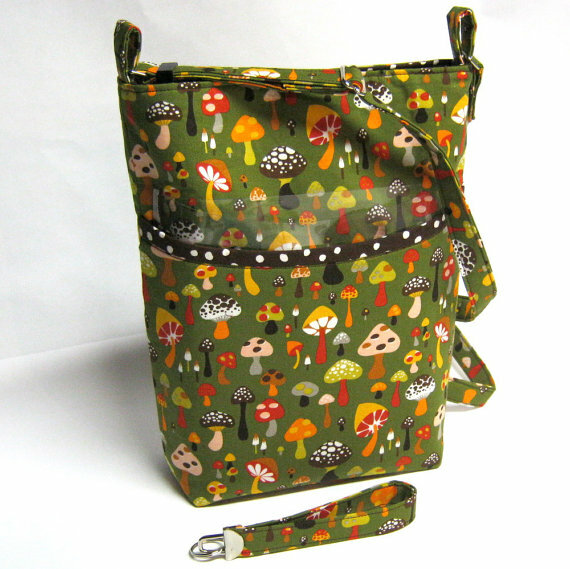 I will do my version of the dog walking bag in just about any fabric print you would like. There are hundreds of them out there and we all have different tastes just like chocolate, vanilla, and strawberry. Just let me know what you would like to see in the dog walking bag and I will make it and post in my shop…OR …if you want to send me 1 1/4 yards of fabric I will match it up with some inside fabric and I will make it from what you send…OR… send me also the inside fabric 1 yard and >>>> wah—laa …. 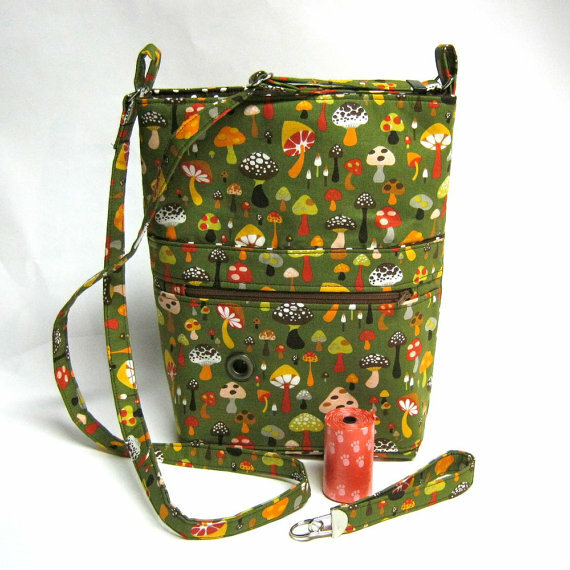 a custom bag from all your very own choices. Hi, Mary! Thanks for posting! Love your Etsy shop and I’ll be contacting you soon, I’m sure! Oooh this looks useful! How many times have I found myself trying to hold my cell phone, my keys, the leashes…all while trying to pull out a bag and then hold that too?! I’ll have to check out the website to see if they come in other designs/colors…that would seal the deal for me! Caspian’s nicknames are all pretty unfortunate… My boyfriend & his brother’s came up with “Catspee’in,” and “C-Man…” sound it out…! Boys…!